I promised myself I would quit blogging and get a life. Then I discovered a product that I wanted to share. I don’t know how to do facebook, so I blog – that’s what I do. My old house was renovated 15 years ago and everything is needing to be refreshed. .. especially my floors which have taken a beating due to my penchant for rearranging every other month and my love of wild animals (my friends are a little wild too). 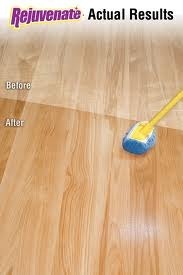 My best bid for the job was $3000 and I was about to consider carpeting my beautiful old oak floors. 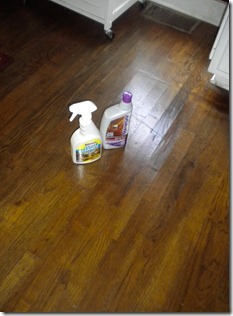 I found a product called Rejuvenate and for $35 I refinished my floors myself. I was very happy with the results and I didn’t even have to move out of the house. It took me all weekend to do the dining room and tomorrow I tackle the kitchen. Love this product. My only regret is not ordering the mop. I had to safety pin a microfiber rag onto my mop because no one in my town carries such a product. 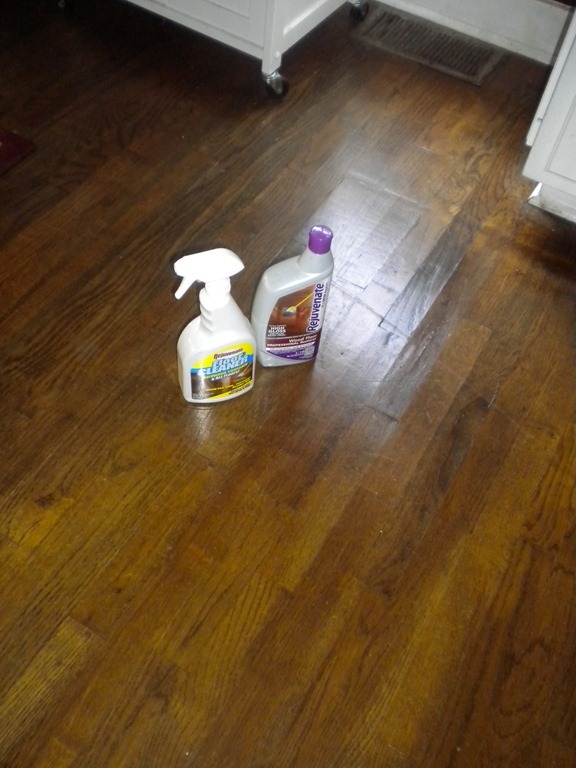 This entry was posted in Good housekeeping and tagged Floor refinishing, Redo on a dime, Rejuvenate floor finisher by Emily Jones. Bookmark the permalink. I am so glad you have not quit Blogging!!!! I know you want to get a life, but, we depend on you out here,please keep it up!!! that needs is so much!!! I ordered it online. BUT I was shocked to see a TV ad yesterday where you can get all the products I ordered for less plus a special mop for applying the stuff and other goodies for around $25. Wish I could have gotten that instead. I couldn’t find the microfiber “bonnets” anywhere to put on over my damp mop to apply the product and ending up having to improvise. I think Home Depot carries the product. Lowe’s used to, but no longer in my town. Google Rejuvenate and you can read all about it. They have a dynomite upholstery cleaner which is also great.